Frederick Douglass spent four months in Ireland at the end of 1845 that proved to be, in his own words, ‘transformative’. He reported that for the first time in his life he felt like a man, and not a chattel. Whilst in residence, he became a spokesperson for the abolition movement, but by the time he left the country in early January 1846, he believed that the cause of the slave was the cause of the oppressed everywhere. 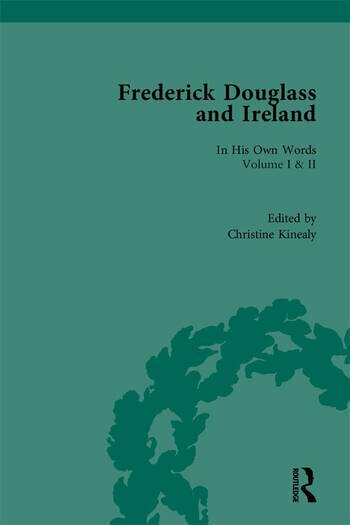 This book adds new insight into Frederick Douglass and his time in Ireland. Contemporary newspaper accounts of the lectures that Douglass gave during his tour of Ireland (in Dublin, Wexford, Waterford, Cork, Limerick, and Belfast) have been located and transcribed. The speeches are annotated and accompanied by letters written by Douglass during his stay. In this way, for the first time, we hear Douglass in his own words. This unique approach allows us to follow the journey of the young man who, while in Ireland, discovered his own voice. Professor Christine Kinealy is the Director of Ireland’s Great Hunger Institute, Quinnipiac University, USA. Professor Kinealy has published extensively on nineteenth-century Irish history.